Bodysol Douche + Handwash Detox Promo Duopack Lowered Price 2 pieces order online. The Bodysol Gel with physiological pH cleans and nourishes the skin without drying it out. Thanks to the vitamin E beads, this shower gel has an additional anti-oxidizing effect. The Bodysol Handwash Detox is a hydrating formula with a neutralizing effect. 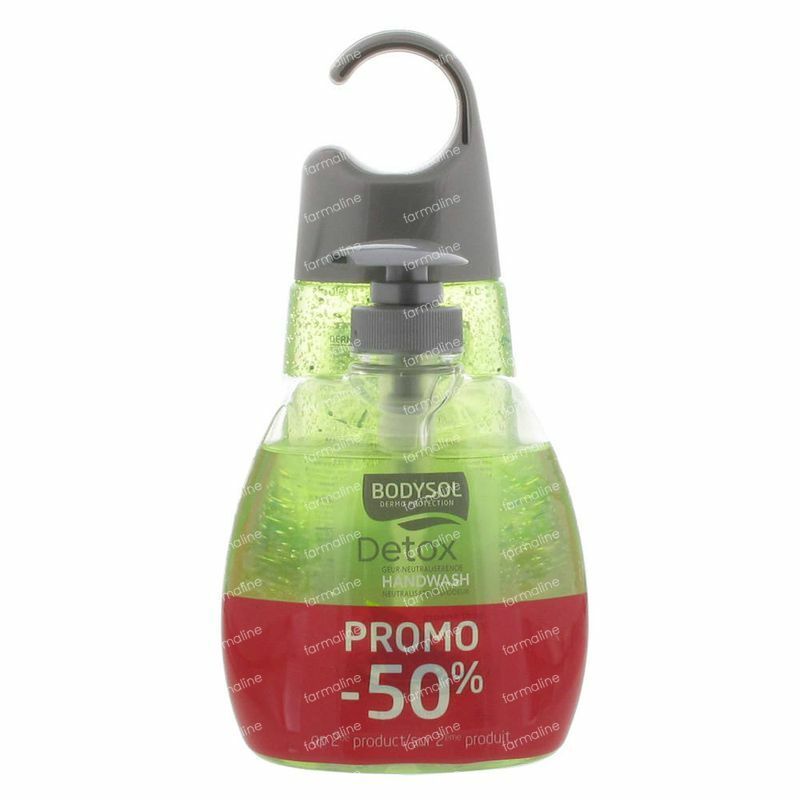 The Bodysol Handwash Detox is enriched with green tea extract, silver complex and glycerin.